The annual JEB party held last Friday in Hong Kong, was a hugely successful and glamorous event. 400 guests, in their full elegance, brought the Great Gatsby’s swinging glory back to town, with the hip-vintage venue Mr. Wolf giving an extra kick. Guests have dressed head to toe, in their best 1920s outfits, bringing Roaring 20s back to life! They came from all corners of JEB’s network – clients, partners and suppliers from across the globe were present in this evening of full festive charm. Gatsby-inspired cocktails at the front door set the initial excitement while guests entered into the glamorous 20’s inspired venue. As the DJ started heating up the mood, there were nobody holding back on showcasing their swing moves, whilst others over-indulged in the champagne tower. Managing Director Rob Wall felt honoured to see so many smiling faces in the room. “Many were old friends and clients and many were new,” he said, “it just gave me such a sense of pride in our JEB Team and how far we have come”. 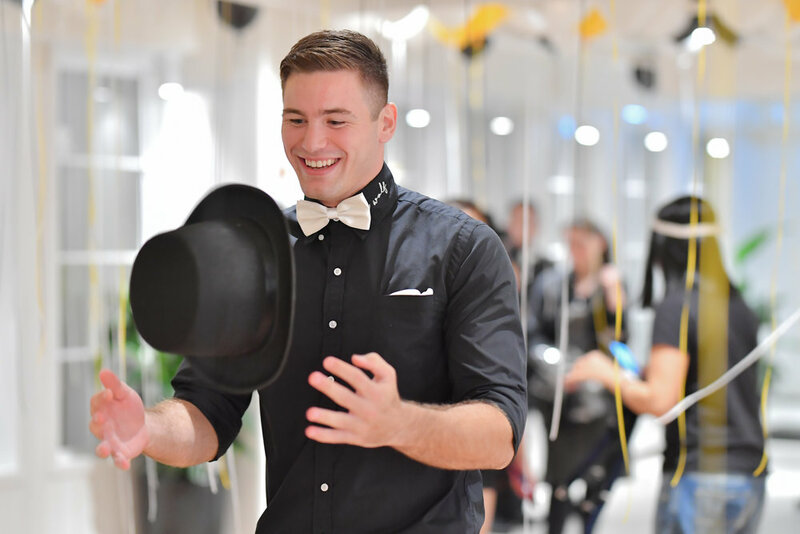 “This is the foundation of our company - great people coming together,” Rob added, “it was indeed a night to remember!” – not to mention that he was featured on the promotion video at the door entrance. Another very special guest also shared the same enthusiasm. Paul Dingley, Managing Director of JEB Asia, told us he was thrilled to be part of the party. “I felt unbelievably privileged to be standing next to my business partner celebrating another successful year with 400 guests”, he expressed. The atmosphere reached its climax when four pole-dances stole the show with their spectacular performances. 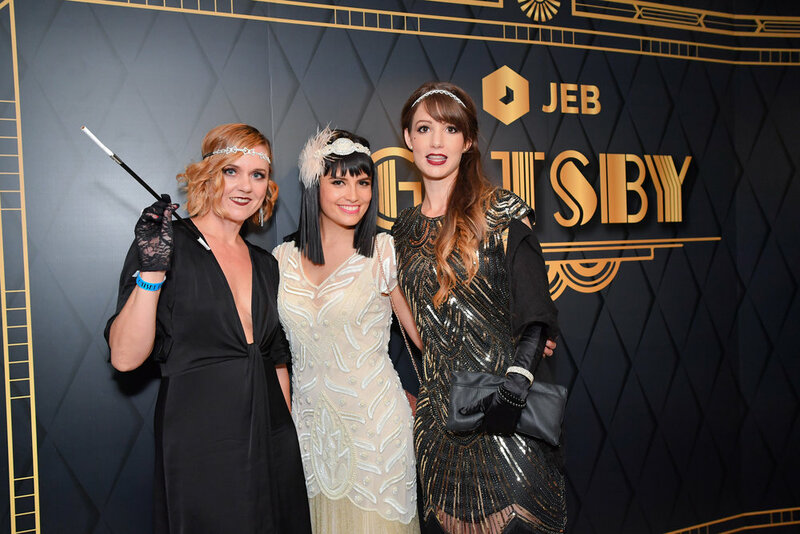 With the cocktails, dancers and all the beautiful outfits, the night was a triumph – Jay Gatsby himself would have most likely been very proud! We are particularly grateful to our guests, clients and partners for making this truly special occasion. It was our pleasure to host and celebrate, another successful year and to go out in spectacular fashion!